Ask anyone in Law Enforcement why they do what they do, and chance are they’ll tell you it’s not for the glory, the thank yous, or the appreciation of the people they help serve and protect. But that doesn’t mean they don’t enjoy hearing it once in a while. Unfortunately, that’s not too often—but an organization called Humanizing the Badge is hoping to change that. 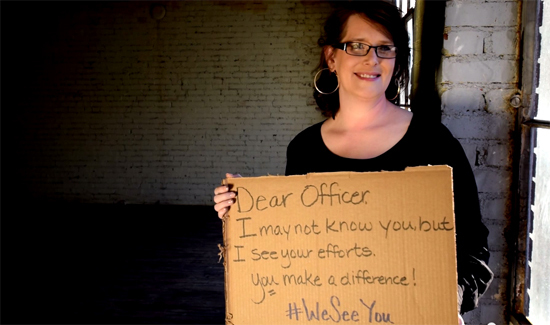 This group of creatives are dedicating their talents to encourage and support members of Law Enforcement and their families. This video is just one of the ways they’re saying thanks to you men and women in blue for a job well done. We think it’s a pretty great start.